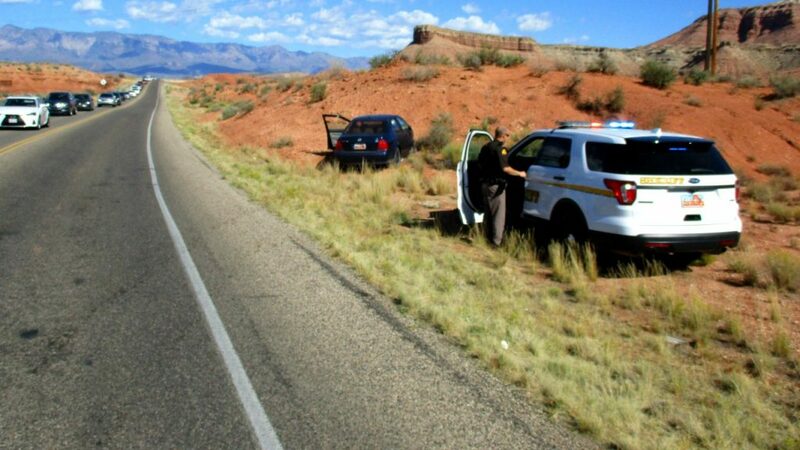 ST. GEORGE — Multiple agencies responded to a crash reported on state Route 9 where a reported reckless driver going the wrong way sent an SUV into a rollover to avoid a head-on collision Saturday morning. 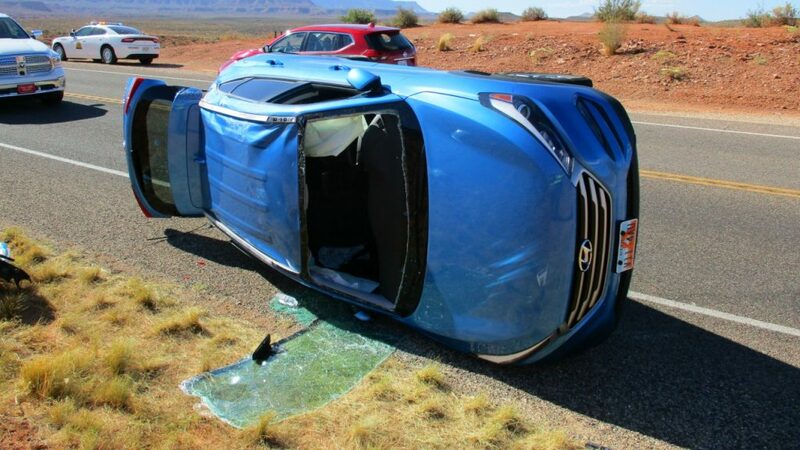 Officers and emergency personnel were dispatched to a two-vehicle rollover on SR-9 near mile marker 16 in Virgin, just a few miles east of LaVerkin involving a dark blue Volkswagen Jetta and a sky blue 2018 Hyundai Tucson SUV, Utah Highway Patrol Trooper Jeff Adams said. Upon arrival, emergency medical responders found an injured passenger in the Hyundai, and she was subsequently transported to Dixie Regional Medical Center by ambulance, Adams said. The driver of the Hyundai declined treatment but rode in the ambulance with his girlfriend. The driver and sole occupant of the Jetta, later identified as Robert S. McMurtrey of LaVerkin, sustained minor injuries and was also transported to the hospital for evaluation and treatment. While investigating the crash, troopers discovered that a motorist called 911 to report a possible reckless driver at mile marker 19, three miles east of where the crash occurred and advised dispatch that a Jetta was seen swerving across the road, crossing over the double yellow line and driving erratically. Adams said witnesses also stopped to provide statements at the scene that outlined the series of events that lead up to the crash. Approaching mile marker 16, the westbound Jetta was attempting to pass slower vehicles using the right shoulder. When that failed, McMurtrey crossed over into oncoming traffic in an attempt to pass using the emergency shoulder going the wrong way – just as the eastbound Hyundai was approaching. 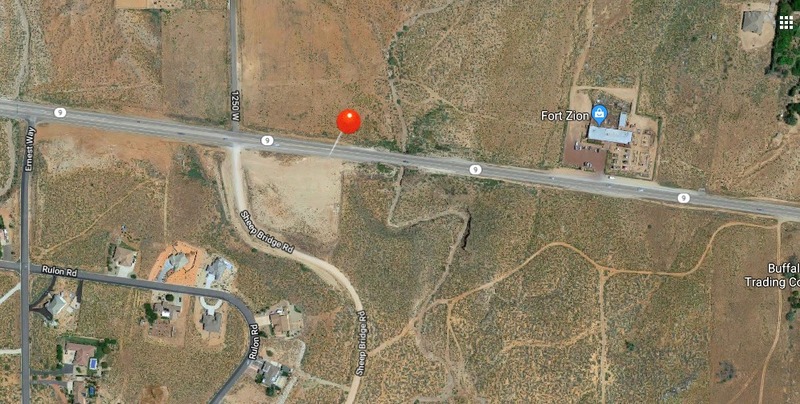 Faced with a wrong-way driver, the Hyundai driver “took evasive action,” Adams said, by swerving to the left to avoid a head-on collision and instead was struck on the front passenger’s side by the oncoming Jetta. The impact sent the Hyundai careening off of the highway before it rolled and came to rest on its side, shattering the windshield and causing the rear wheel to be ripped from the vehicle. 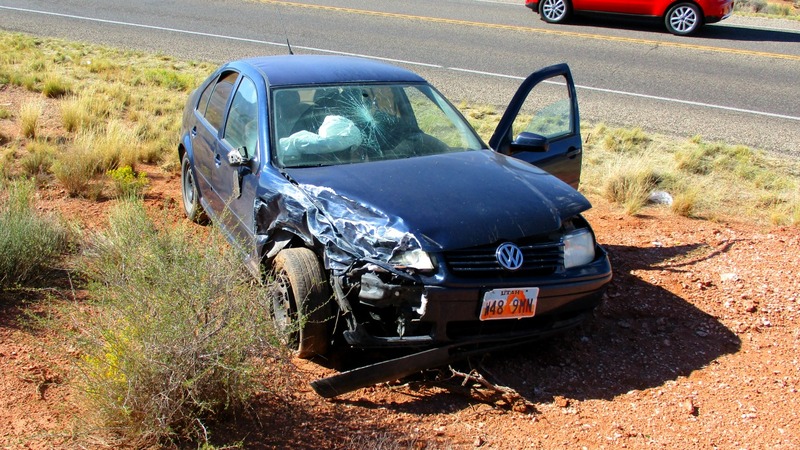 The Jetta sustained extensive front passenger’s side damage and came to rest off of the right shoulder facing west. “Instead of hitting head-on, it was more of a side-swipe, thanks to the driver in the Hyundai taking the actions that he did when he saw the wrong-way driver, or this could have been much worse,” Adams said. Troopers had reason to believe that McMurtrey was under the influence, based on the call reporting a reckless driver, multiple witness statements and evidence collected at the scene, Adams said. McMurtrey was treated for minor injuries and just as he was released from the hospital, Adams said, he was placed under arrest and transported to Purgatory Correctional Facility and booked for suspected DUI and reckless driving. The two occupants in the Hyundai were properly restrained when the crash occurred, and both vehicles were rendered inoperable and towed from the scene. It is unknown whether McMurtrey was restrained at the time of the crash, Adams said. Traffic on SR-9 in both directions was impacted for approximately one hour as one lane in each direction was opened intermittently to allow vehicles to pass through the crash scene. UHP, Hurricane Police Department, LaVerkin Police Department, Washington County Sheriff’s Office and Hurricane Valley Fire and Rescue responded and tended to the scene. Here’s the report on the bookings. so, he’s already got a clear history. I hope prison will be in his future this time. OOPSIES // (Didnt see a charge for DUI causing injury tho) Can we take away his license permanently after his three years in the joint, please? The map location is not even close. Approximately? Within miles? sheesh. You have to give the driver of the Hyundai credit for saving the lives of all involved. Striker I hope you’re wrong on this one.